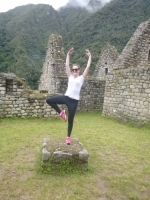 Only after finally arriving to Machu Picchu, and seeing it inundated with freshly showered tourists straight off the bus, did I fully appreciate the significance of the Inca Trail adventure. I got to arrive to Machu Picchu the way the Quechua did, through the mountains. 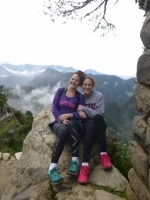 My experience visiting Machu Picchu was incredible, and entirely due to the struggle and overcome I experienced hiking the Inca Trail with Inca Trail Reservations. 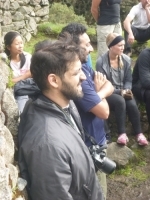 The scenery was fantastic, the team was motivating and positive and Victor was patient and encouraging. Our early Machu Picchu hike morning started at 5am - up in time to shower and get ready for Inca Trail Reservations to pick us up and drop us at the Cusco train station. Destination: Machu Picchu ! Our tour guide (Fletcher) met us at the train station, where we started the most amazing day of our lives. 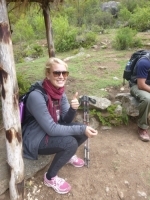 We had the most amazing time on the Inca Trail with Inca Trail Reservations. The whole experience was flawless from the pre-trip briefing to the after-trek beers with our wonderful guide Fletcher. Wow. 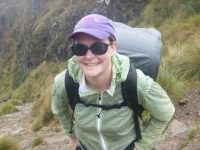 The trek was one of the hardest and most rewarding things I have ever done. The guide was great, the food superb, and the destination made the trek worthwhile and more. I always felt in good hands and it was an adventure very well organised and executed, with every detail thought through. 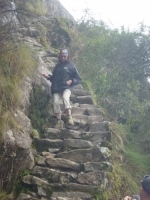 I had a very good experience, exploring the Inca Trail. 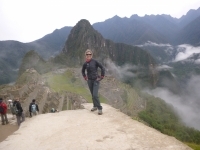 It was a challenge to do the trek, but an amazing felling when we finally reached Machu Picchu ! And we saw so many beautiful archaeological sites, amazing nature and mountains on our way to Machu Picchu. The experience was amazing. I initially thought the trek was a great idea but never thought we would actually go through with it. Once we booked I thought it was a great excuse to exercise and get fit but this never happened, so I went into the trek very worried. Realmente una experiencia inolvidable, conocer y realizar el Camino del Inca, "el de verdad" le entrega un encanto diferente. Recorrer todos esos lugares maravillosos, el llegar a la cima, el subir y bajar esas eternas escaleras. Los porteros, se pasaron ! El animo, siempre con una sonrisa, amables, realmente se pasaron en lo rápidos para organizar todo. Our excellent guides and porters somehow took me through all four days of a very difficult trek. 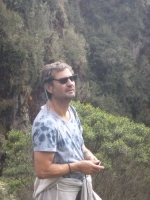 Our main guide was very knowledgeable and easy going. Made all the hard work more fun and interesting. I was late to sign up and hopped on board of two friends trip that was already planned for the Inca Trial. I didn't know what to expect but was excited. The guides were Manuel and Pepe, they were fabulous. They were helpful, kind, informative, fun and knowledgeable. Here's what's up. 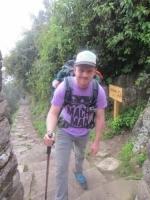 If you are thinking about doing the Inca Trail but are concerned about it being too difficult here are Jesse's words of advice: Don't be a candy-a$$. Just do it. Yes it's challenging. Train for it. Get acclimatized. Bring Imodium. Bring Ibuprofen. Or Naproxen if you have it.